Sallyanne is an Accredited Practising Dietitian and nutritionist, author and speaker. She is well qualified to present and answer questions on lifestyle and eating habits related to health and wellbeing. Having extensive experience in health management and mentoring she is highly skilled in helping others introduce, live with and thrive on change. Sallyanne has integrated her knowledge and experience into all Eating for You services and events. Sallyanne is available for in person and online health and lifestyle coaching consults and programs. 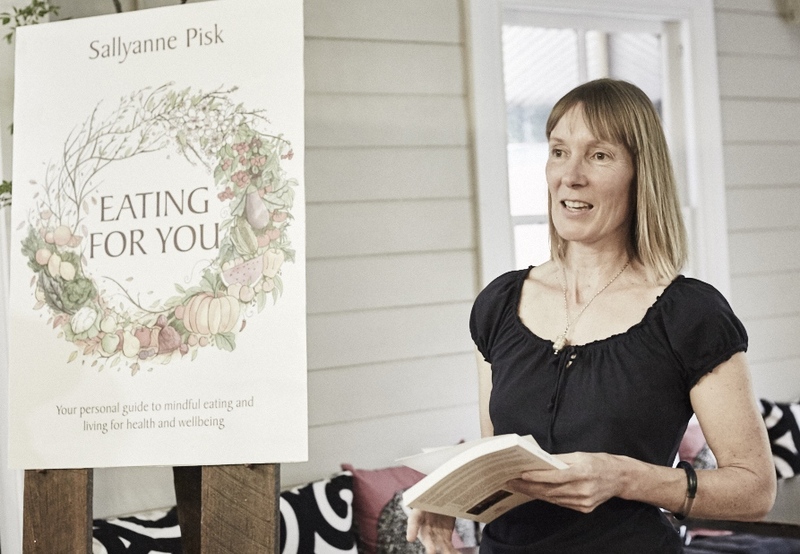 She is currently offering one-on-one coaching, specialising in the development of mindful eating and living choices. Her consults and programs focus on your personal nutrition and health goals. Sallyanne’s approach helps you to develop the clarity and confidence required to make the best eating and lifestyle choices for you. Prior to your initial consult, you will be emailed a detailed health and lifestyle assessment form which you need to complete prior to the consult. For more information and bookings, click on the link below. 1 hour Required for an initial consult and recommended for complex cases requiring several stages of goal setting and review. 45 minutes Detailed follow-up and review of food and lifestyle diaries and test results. Review and updating of goals. 30 minutes Follow up including a review of diaries and test results. 20 minutes Brief check-in and follow up and review of progress. Tailor-made small group coaching is also available. Ideal for couples, families and small groups of friends, working towards similar health and lifestyle goals. 1 hour Required for an initial consult and recommended for detailed follow up and review of food and lifestyle diaries and test results. Review and updating of goals. Prices for small groups are available on application. Payment for consults is required at the time of booking, and 48 hours notice is needed to reschedule or cancel your appointment. If the appointment is changed with less than 48 hours notice, a fee of $50 is payable. * Face to face in person consults may be eligible for either Medicare or Health Insurance rebates. Unfortunately, Skype and telephone consults are not eligible for Medicare rebates. Please check with your private health insurance as to whether you are covered for online consults. Sallyanne is an experienced public speaker for delivering keynote addresses and facilitating seminars and workshops. 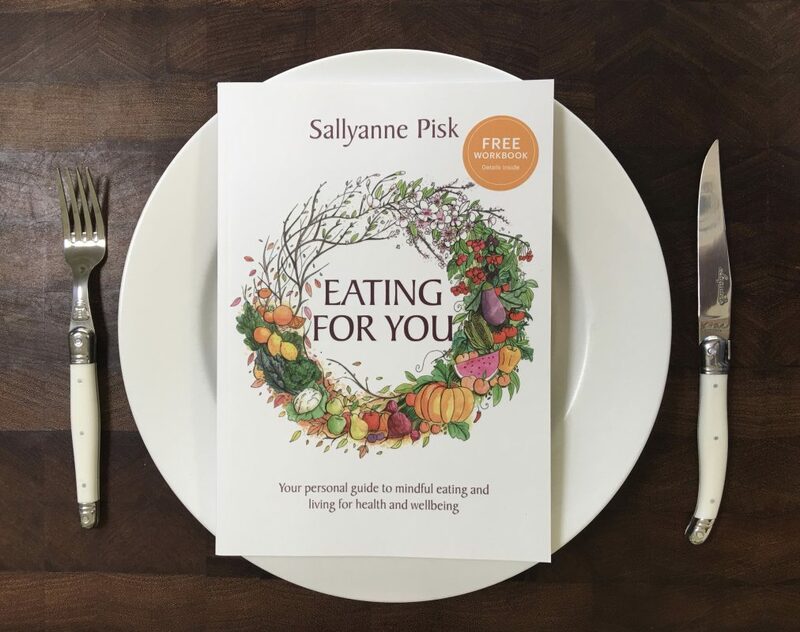 Sallyanne is passionate about sharing her knowledge and experience on the subject of enjoying health and happiness through mindful eating and living. She is available to present to small or large groups. Sallyanne is available for interviews. She has experience in radio and print media. Sallyanne is available at the co-op the first Wednesday of each month, 11am to 1pm, to answer food and nutrition questions.